Bogomil Balkansky is currently a VP at Google focused on recruiting solutions and he was recently named #1 among the top 10 most important people in HR Tech. He joined Google through the acquisition of bebop where he had been an early employee. 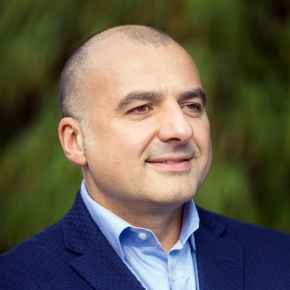 Before this entrepreneurial endeavor, Bogomil was a key executive at VMware where he played pivotal role in steering VMware’s flagship server virtualization product line to cross the chasm and become the de-facto standard in every datacenter. Over his 8-year stint at VMware, the server virtualization product line grew 10X in revenue and its customer base increased from 5K to 300K customers. Most recently, he was Senior Vice President leading product management and product marketing for the VMware’s Software Defined Datacenter product line. Prior to VMware, Bogomil worked in product management at Siebel Systems – the pioneer of CRM software and at CrossWeave – an innovative application integration start up. He started his career as a management consultant at McKinsey & Company. Bogomil holds a bachelor of arts in mathematics from Cornell University and an MBA from Stanford Graduate School of Business.